As one walks through the by lanes of C.P Tank in Girgaum and enters Khadilkar Road, a line of invitation card shops greet you on both the sides. Khadilkar Road is an invitation card market where people come from far and wide to get that special card for all occasions according to their specifications. These shops also provide an array of handbags and gift boxes in addition to invitation cards. In these shops, the occasion and religion is no bar. Meena Agencies was among the first few shops to open in the area in 1964. This retail shop stocks a wide variety of cards ranging from textile design, embroidery and handicrafts to the printing technology. “Earlier an invitation was a mode of information or an invitation. Today it has become a style statement as the invitation creates the first impression of the event,” says Anand Thakkar, the owner of Meena Agencies. 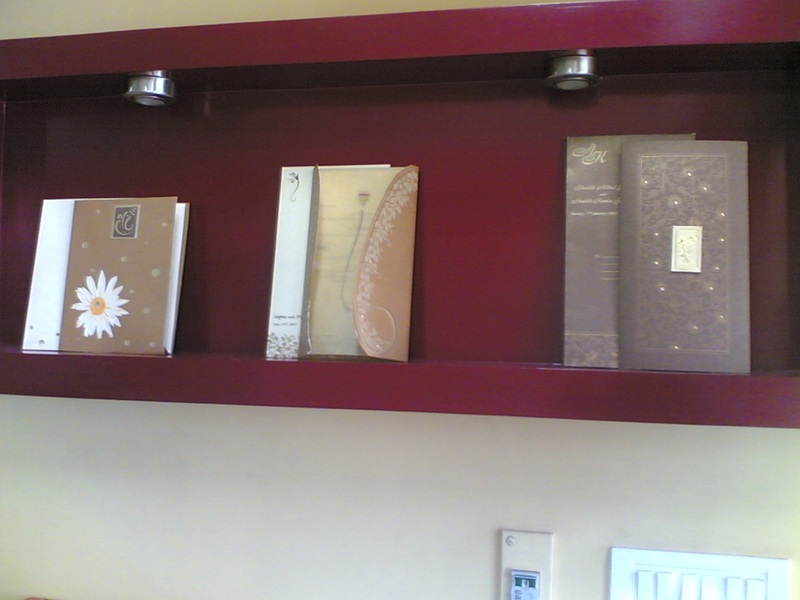 This store has around 1000 different varieties of invitation cards within the price range of Rs. 5 to Rs. 150 that is affordable to the idle class society. The shop targets people who want to customize their card. “In this business, creativity and tradition have to merge,” says Gopal Shah, owner of Vardha Enterprises, a relatively new player in the industry. This shop sells cards at wholesale rates and has distributors across the country. The peak season of business for all these shops is between March to May and October to December. The owners do not worry about competition as each shop is unique in its products and designs. Every shop is filled with customers round the clock. “I have come all the way from Mumbra to select a card for my big day. It is a tough choice as there is a wide variety to choose from and I feel like giving each of my guest a different design,” says Monisha Chatterji, a customer. A shop that caters to high-end customers especially for the elite and Non-Resident Indians (NRIs) is Mars Arts. “Everlasting standard of quality, intricate detail workmanship and immense creativeness is the strength of our company,” states the owner, Mahavir Shah. Mars Arts has been in the business since 16 years and has established a good rapport with its customers. The company boasts of an in-house design studio and customer service centre. The price range of a card in this shop is Rs. 45 onwards. “The most expensive card we have made was for Rs. 1000. It was gold plates and had intricate embroidery,” adds Mahavir Shah. The next time you want to send out invitation cards you know where to go to – Khadilakr Road near C. P. Tank. I will be sure to go there when I need that special card myself!